Kick off your summer at Best Kids Academy with a Pokemon themed camp. Each day will be filled with Pokemon games and activities. If you are a passionate Pokemon fan, this camp is for you! 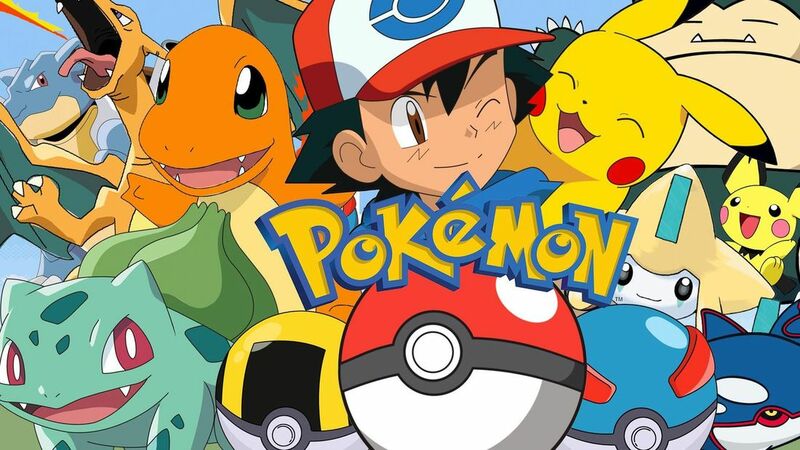 There will be opportunities to Pokemon battle your friends, hunt for Pokemon, decorate Pokemon cupcakes, make unique crafts, and win Pokemon themed prizes. This is a week you definitely do NOT want to miss out on! We will be exploring animals through interactive games, crafts, and other activities. Each day we will be focusing on a different environment (Ex. Marine, Rainforest, Desert, Arctic) and the animals who live and thrive in that environment. During the week, there will be visits from REAL animals and we will conclude the week with a field trip to Bayou Wildlife Zoo! This week we will be learning about the Chinese culture and the history of China. We will learn about different holidays the Chinese celebrate such as Chinese New Years, Lantern Festival, and Mid-Autumn Festival. This week you will get to learn how to do calligraphy, to make your own terracotta warrior, origami fan. In addition, you will get to sample a variety of Chinese foods and desserts. This week is a great way to immerse yourself in the Chinese culture. Explore your inner scientist this week at Best Kids Academy! Through the hands-on experiments we have planned, you will get to touch, hear, smell, and taste what science is all about. You will also get to build and assemble a variety of take-home projects that will help you understand how science affects the world around us. This week at Best Kids, we will be focusing on all different kinds of cultures from all over the world. Kids will be exposed to a variety of foods, clothing, and customs to learn what life is like outside of the USA. A few countries we will be looking at include: Denmark, Australia, Russia, and Thailand. Get ready to have a blast doing different activities and games that will help broaden your perspective of the world! This summer, Best Kids will be hosting its first ever olympic games. Form teams with your friends and decide on a country that you would like to represent. We will be playing games all week long, so bring out your best efforts! Best Kids olympics will be hosting events such as wii tournaments, obstacle courses, and math competitions to see who will be THE BEST OF THE BEST! The winning team of the first ever Best Kids olympic games will receive a GRAND prize, to be revealed at the awards ceremony. Best Kids Goes to Outer Space! Solve mysteries with your friends and learn how to be the best detective ever. You will have the chance to participate in activities such as decoding secret messages, dusting surfaces for fingerprints, and solving a “real life” crime that the Best Kids team has come up with! There will be a special treat for the first team to crack the case. 3, 2, 1, LIFT OFF! Spend your week learning about our galaxy and beyond! We will be doing crafts such as planet sun catchers, fizzing planets, and building your own model solar system. You will even get the opportunity to design a rocket ship! You will be learning about the Sun, the planets, and the history of space exploration. End your summer at Best Kids with a BANG! This week we will be transforming Best Kids into the Wilderness to teach you all the tips and tricks you need to know to survive in the wild. We will be learning how to set up and take down tents, how to use the sky to find your way, and identifying local wildlife. There will also be fun games that will help develop your survival instincts. The week will end with a field trip to George Bush Park where we will be doing group activities, sports, and enjoying the outdoors.